Thank you for taking the time out of your busy day to spend a few minutes on my blog. If you're anything like me, you have a long day of work and then go home, maybe work out, make dinner for your family, do some more work, do house work, and go to bed. Wake up and repeat. Dear reader, you are amazing. 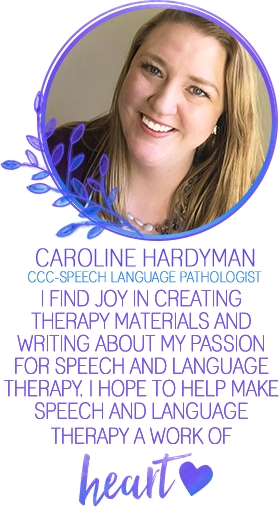 Whether you are an SLP, teacher, stay-at-home-parent, CEO, or just an amazing person you make a difference. I want to tell you a secret. Sometimes, I'm afraid to write a blog post. 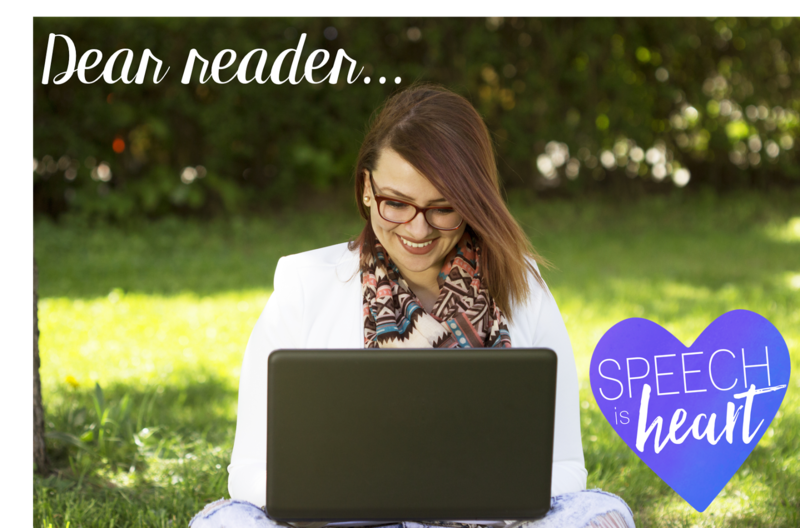 I look around the internet and see so many blogs out there about speech therapy and wonder if my posts are just disappearing into the cloud. So, why do I keep writing? 1. I love to write. I always dreamed of being a novelist, but that is highly unlikely. I don't have enough discipline. I also really enjoy writing poetry. 2. You inspire me. Yes, you. I want to solve problems. I want to inspire and be inspired by others. 3. I want to share my journey. Being human is not always easy. Sometimes it's tempting to compare myself to others, and many times I do. Being honest with you and myself about this crazy journey called life is freeing. Sometimes I share the high points and sometimes I share the low points. My goal is to share this journey in its truth and reveal what's behind the curtain of the internet - a person. That is why I keep writing. My hope is that you can relate to one or many of my posts. Keep growing, keep reading, keep inspiring.